Thomas (Tom) Tullis is Vice President of Usability and User Insight at Fidelity Investments and an Adjunct Professor at Bentley University. 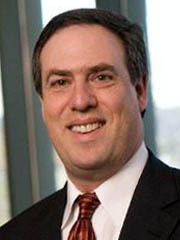 He joined Fidelity in 1993 and was instrumental in the development of the company's User Experience department. Prior to joining Fidelity, Tom held positions at Canon Information Systems, McDonnell Douglas, Unisys Corporation, and Bell Laboratories. Tom received a B.A. from Rice University, an M.A. in experimental psychology from New Mexico State University, and a Ph.D. in engineering psychology from Rice University. 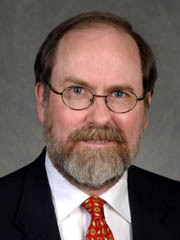 During his 30 years of experience in human-computer interface studies, he has published more than 50 papers in numerous technical journals and has been an invited speaker at national and international conferences. He is the co-author, with Bill Albert, of the book Measuring the User Experience: Collecting, Analyzing, and Presenting Usability Metrics. He also holds eight U.S. patents. Contact: Tom@BeyondTheUsabilityLab.com. 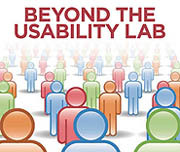 Donna Tedesco is a Senior Usability Specialist in the Usability and User Insight team at Fidelity Investments. 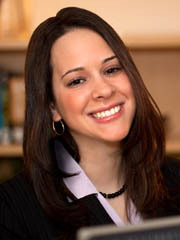 Among other research methodologies, she has conducted numerous online user experience studies over the last several years. Donna received a B.A. in Engineering Psychology from Tufts University and an M.A. in Human Factors in Information Design from Bentley University. She has published and presented multiple papers at national and international conferences, including the Usability Professionals Association (UPA) and the conference on Computer-Human Interaction (ACM SIGCHI). Contact: Donna@BeyondTheUsabilityLab.com.